Apple will finally launch a new model of its AirPods in early 2019, according to the latest report from oft-reliable analyst Ming-Chi Kuo via blog 9To5Mac. Although the updated earbuds were originally rumoured to launch alongside the iPhone XS, XS Max, and iPhone XR back in September, the latest models have now purportedly been pushed back into the new year. 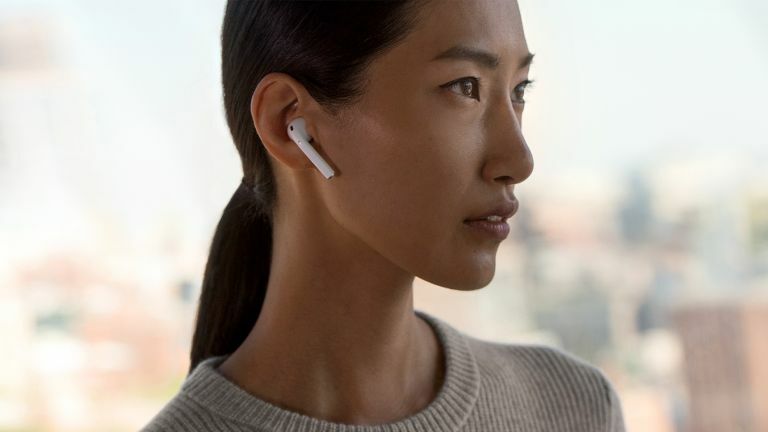 If the leaked supply chain information from Ming-Chi Kuo is accurate, as history tells us it's very likely to be, that leaves Christmas shoppers with a bit of a conundrum – buy the first-generation AirPods for beneath the tree, or hold-off buying anything until the start of the year to be among the first to snag the updated earbuds? According to Kuo, the biggest change with the second-generation AirPods will be support for wireless charging. This isn't wholly surprising, after all, Apple briefly teased an image of a wireless charging case for the AirPods during its preview of the AirPower charging mat on-stage during its September 2017 keynote presentation. After the initial tease, both products failed to materialise. However, it makes sense that the wireless charging case – which boasts a green indicator light on the outside so AirPod owners can tell at-a-glance when the earbuds are charging – would launch alongside a new iteration of the earbuds. Kuo claims Apple AirPods 2 will also ship with Bluetooth 5.0 instead of the Bluetooth 4.2 version inside the original AirPods. Amongst other improvements, this should offer improved battery life for the wireless earbuds. Kuo also highlights an upgraded hinge on the case to improve durability, as well as new internal components that could increase the price of the earbuds. Apple is also widely-rumoured to bring a an entirely new set of high-end AirPods that will be water resistant and will boast noise cancelation. All models of the next-generation AirPods are tipped to ship with always-on Siri support, so listeners can summon the voice assistant by using the wake phrase "Hey Siri". Until now, AirPod owners had to double-tap either the right or left AirPod to launch the AI-powered assistant. The latest analyst report from Ming-Chi Kuo comes weeks after Apple updated a trademark filing in Hong Kong and Europe that referenced its wireless earbuds. The newly-updated trademark filings, which were spotted by the eagle-eyed Patently Apple, refers to the as-yet unannounced AirPods 2 as Class 10 hardware. Finally, Ming-Chi Kuo believes Apple is preparing a significant redesign of the AirPods for 2020. Unfortunately, the prominent analyst does not offer any clues about what to expect from the all-new earbud design. Kuo claims AirPods are Apple’s most popular accessory ever, and predicts the iPhone manufacturer will go from selling 16 million in 2017, to more than 100 million by 2021.